.FlameGuard Fire Rated Downlighters Offer a full 90 minutes of fire rating and are also manufactured with an integrated fire and acoustic barrier. 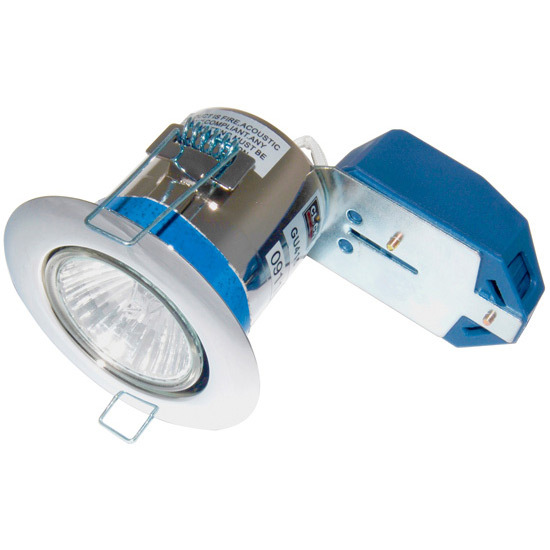 The Flameguard system used in these downlights effectively restore the fire integrity of ceilings while also providing an acoustic barrier. •Available colours: Brass, Chrome, Satin Chrome or White.